Throughout your degree you’ll have direct access to being a member of a team for your employer working on civil engineering projects. On graduation, you will receive a Warwick BEng (Honours) degree, and with this as the gateway with the five years' of invaluable on-the-job experience you can take the assessments with a professional engineering institution for IEng membership. 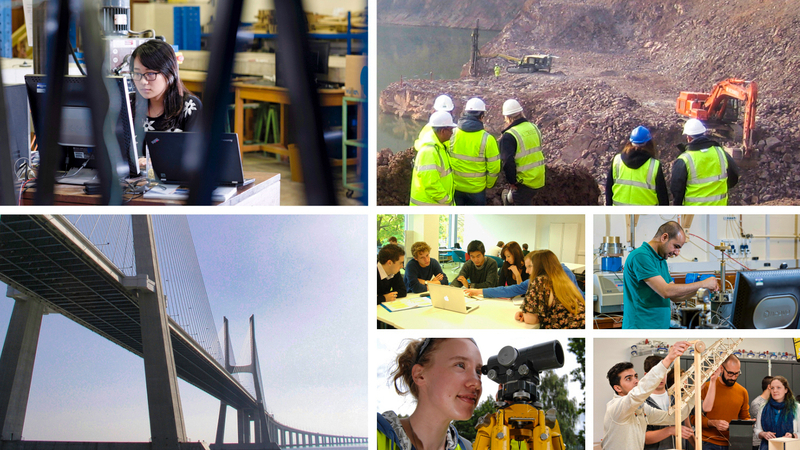 The BEng Civil Engineering degree apprenticeship is delivered through a combination of residential courses, blended learning and work-based projects. The academic curriculum will, for a large part, follow actual delivery in the workplace with the day-to-day challenges faced in a work environment informing studies and what is assessed for the BEng (Honours) degree. Six residential blocks for one week each bring your apprentice group together per year. During these blocks you will attend lectures, seminars, take other learning activities and spend time with academics and non-academic staff in the School of Engineering. Blended elements of the course, including lectures and online collaborative work, are supported by University’s electronic Virtual Learning Environment (VLE). VLE will supplement and further the learning begun during residentials, as well as providing academic support for ongoing projects in the workplace. As you progress through your apprenticeship you will gain more knowledge and experience. You can expect to be stretched and challenged, but supported throughout your apprenticeship as you focus on building-up the knowledge, skills and behaviours that you require to be a professionally qualified engineer (IEng). This is an exciting and demanding apprenticeship, so we’re looking for exceptional, engaged and motivated people who are passionate about the industry and being part of a once in a lifetime educational and training experience. We expect strong communicators, team players and a desire to learn both at the university and on the job. You’ll need to set yourself high standards and be able to balance and overcome the pressures of integrated work and university studies that leads to two qualifications (BEng degree and IEng professional qualification). A degree apprenticeship is a new type of undergraduate degree offering a debt-free path to a university education. Your tuition fees for this degree will be paid for by your employer and you’ll also be earning a competitive apprenticeship salary. Employer partners supporting this degree programme represent the UK civil engineering industry and are contractors and consultants. These employers offer excellent engineering careers and are collaborating with high quality higher education institutions like The University of Warwick, where your studying shall benefit from a strong network of peers, studying and working on the same degree apprenticeship. Your employer will be notified in advanced by the programme manager when there is an additional cost associated with services such as academic texts, course notes, field trips, etc. This information is applicable for 2018 entry.